If you have a website that can be accessed by EU residents it is likely that you will have make your website GDPR compliant. If you have yet to do so, you could potentially face a substantial fine as the General Data Protection Regulation compliance date was May 25, 2018. The main purpose of GDPR is to protect the rights and freedoms of EU residents and to give them more control over their personal data, no matter where personal data is collected or processed. 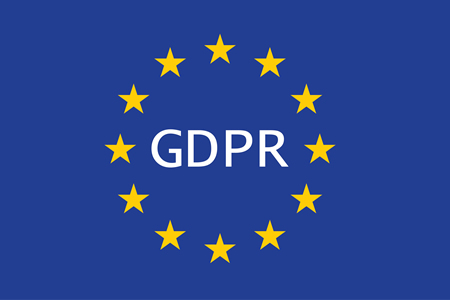 Over the past two years, many businesses have been learning about how GDPR affects websites and websites owners have made changes to ensure their sites are compliant. However, some businesses are unsure how to make a website GDPR compliant and others have ignored GDPR requirements entirely. Site owners that fail to make a website GDPR compliant can face stiff financial penalties. The penalty for noncompliance with GDPR is up to €20 million or 4% of global annual turnover (whichever is greater) so noncompliance really isn’t an option. One of the main requirements to make a website GDPR compliant is to tackle the issue of consent. Information cannot be collected and processed unless consent has been obtained. Under GDPR it is not acceptable to use pre-checked boxes when obtaining consent to collect and process personal data. Users must provide clear consent and if checkboxes are used, they must be manually checked by users. Website owners must make a decision about the types of data they collect and whether that information is necessary in order to perform the task for which the information is being collected. Any data collected or processed should be limited to the minimum necessary amount to achieve the purpose for which it is collected. GDPR also requires all personal data to be secured, so data encryption should be considered. If you use any kind of analytics program on your website, Google Analytics for example, it is your responsibility to ensure it is compliant. Google has taken care of its side, but it is the responsibility of all website owners to ensure analytics programs meet GDPR requirements. If tracking data is collected that allows an individual to be identified – by their IP address for example – consent must be obtained. It is important that website visitors can get in touch with a site owner to exercise their GDPR rights and freedoms, so all contact information needs to be up to date. It must be easy for visitors to make contact should they wish to exercise their right to be forgotten, request a copy of any data that is collected and processed, and check their personal data for accuracy. In the event that a website visitor chooses to be forgotten, it is useful to have a mechanism in place that allows that to happen automatically via the website. Manually completing such a task will be time consuming, especially if multiple requests are received. It is the responsibility of all website owners to familiarize themselves with GDPR Rules and make their websites GDPR compliant. If you own or operate a website, read up on GDPR requirements, check to make sure consent is being obtained before personal data are collected and processed, ensure data subjects’ rights and freedoms are protected and honored, and make sure all personal data is stored securely. You must also develop policies and procedures to identify and deal with data breaches. If a breach is experienced, the Supervisory Authority must be notified within 72 hours.